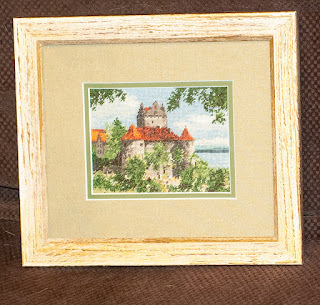 The castle looks cute in this frame! One more piece completed. Lovely piece. It looks great in the frame.